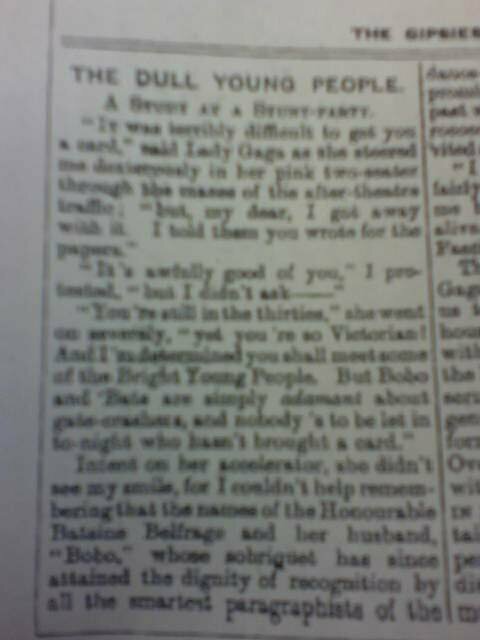 Punch Magazine predicts Lady Gaga… in 1929! Yes, now it can be told! My tireless research has turned up a fascinating artifact from the past. Okay, when I say “tireless research,” I actually mean “something I stumbled across because I have weird reading habits.” Over Xmas break, I wrote a story set in Jazz Age London. I thought I should do a little research on those wild times beyond movies and Waugh, so I got Bright Young People out of the library and read a bit in it. 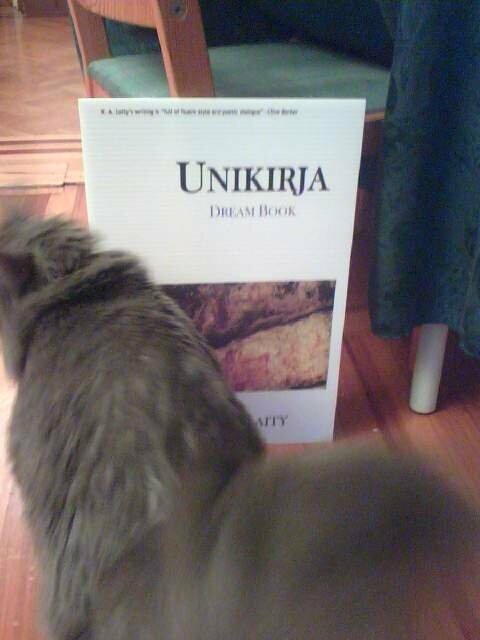 However, I discovered that once the story was finished, I was less engaged with the research and the book languished. Finding it was due back, I hurriedly flipped through to get a sense of what else might be there, should I revisit the period for another story (quite possible). Sounds like a perfect plan for the next Lady Gaga video! Meanwhile, I’m busy busy busy. Off to St. Louis next week for PCA with Miss Wendy (and a couple of my grad students) and then down to New Mexico to see my folks. Already in planning stages for promoting this summer when the new edition of Pelzmantel comes out from Immanion. Look at the nifty giant cover for Unikirja: it’s actually a lawn sign from Vistaprint, home of promo printing materials (thanks, Stella, my genius cheap-PR guru). I can’t wait to get one for Pelz — the first draft of the new cover is gorgeous! Next Post June Whitfield: Genius! It was a strange little discovery! HAHA, I wonder if the current singer Lady Gaga found that same reference. Where did she come up with the name? Idle speculation on this miserable Friday.Here here for strange reading habits!